Chatter > FML Main Chatter > ALERT: "Glass" a FRI-SAT/SUN-MON Split in FML! 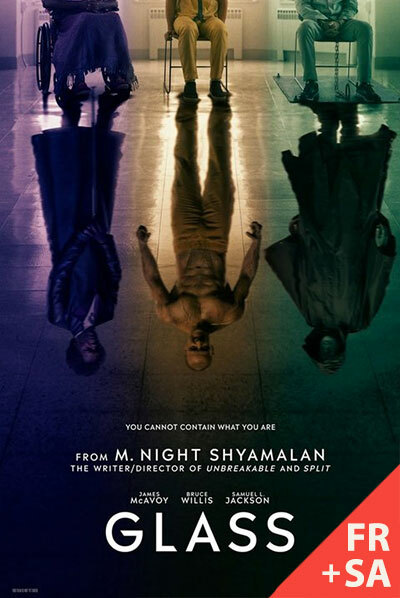 ALERT: "Glass" a FRI-SAT/SUN-MON Split in FML! As the clear box office favorite for the weekend, $Glass will be split into two options for the MLK Jr Day holiday weekend: FRI-SAT and SUN-MON options. Is this the first time you've seen a split in Fantasy Movie League! Not to fear - it's simple. Just like any other movie, if you pick $Glass you'll get the box office it generates, but in this case you'll either add the Friday and Saturday showings (including Thursday previews), or the Sunday and Monday options, and only bank the revenue those movies made on those days. So, think $Glass will be front-loaded? FRI-SAT is the pick for you! But if you think it will build over the weekend, SUN-MON is the choice. Or, you can go with a combination of lower priced movies! I remember when I believe (correct me if I'm wrong) BSW suggested this idea and most of us were on board. Thanks for trying this out @fmlqa! Will all the movies include revenues from Monday, or only Glass? Does that mean next week will begin on Tuesday at 5:00 PM PST? Splittin' Glass and takin' names !! ... Woot ! Because of Monday being the MLK Day holiday, this weekend will be a four day event in FML. This means, for all the movies available except the $Glass splits you will get Friday-Monday revenue (instead of Friday-Sunday, as in a regular week). This also means that next week will start a day later than usual, at 5pm on Tuesday instead of Monday. I'll be posting a pinned alert about this later this week. I must say--I love what you did with the split!! Great decision! @nowintechnicolor · Now in Technicolor! Love the split, but... can you combine those little red triangles into one? Looks pretty silly with two in there. I like your version better than the one now, Clev. But, if they're trying to show it represents 2 distinct days . . . Maybe one triangle in each corner, but mirror image instead of in the same direction? That is the key point. This is the first ever 2x2 split. I think the two triangles in the same corner does a good job of conveying that key message for the week.